Yuri relationships and bears. What are you thinking? One could say this is one of anime’s weirdest creations, but I think it’s one of the greatest, this year in fact. YES. 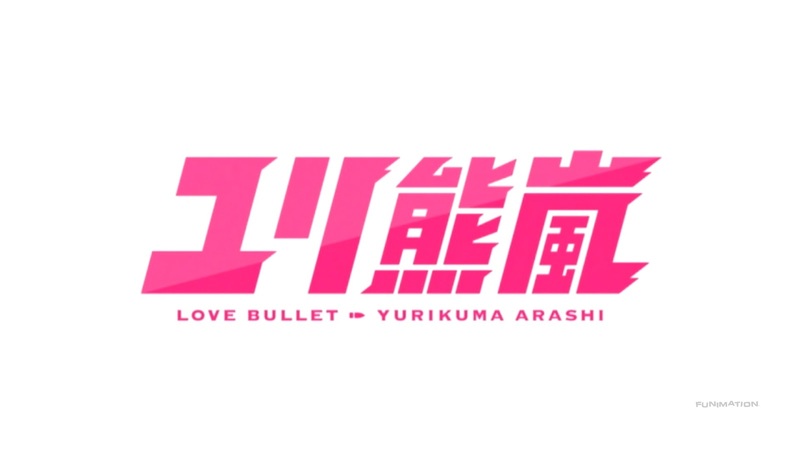 It is one of the first few anime that aired this year (and season) and as well as the one which focuses on girl-on-girl relationship. 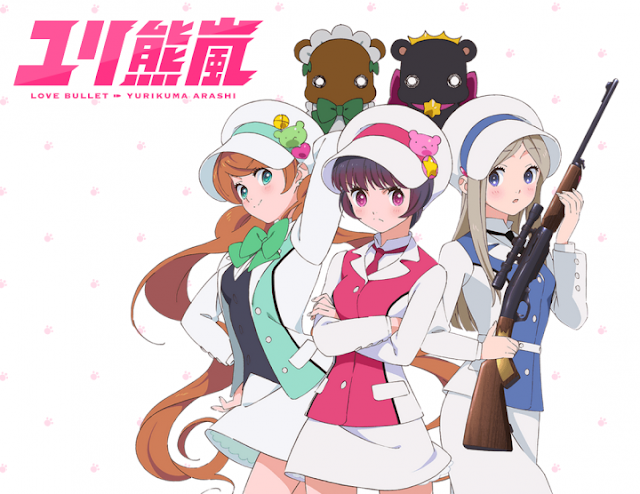 Yuri Kuma Arashi was probably picked up by many because it was directed by Ikuhara Kunihiko, the director of the well-famed Mawaru Penguindrum. To give some background of the story, there was a planet Kumaria that exploded on space which showered around Earth. This caused the bears to become violent and start attacking and eating humans. So to prevent any more attacks, the humans build up the ‘Wall of Severance’ between the two and things calmed down. One day, two bears, Ginko and Lulu, disguised themselves as humans and transferred in a class where Kureha and her love Sumika is. While Kureha have been eyeing for Sumika, the bears eye towards Kureha. Then, tragedy ensues on that same day. First of all, many regarded the anime as one which has a lot of symbolism. Some have linked this anime to lesbianship in Japan, while others have their own other opinions about the topic in general. But even if there is symbolism, I think that this anime can be watched without caring about it. It is something that one should not delve into if he wants to watch an anime without thinking critically and just enjoy what is there in the story. Nevertheless, feel free to express your own thoughts linking with the story. The first few episodes can definitely throw everyone off because of the confusion behind the story. I do not know if some have dropped it because of this specific reason, but if you are one of the person, I suggest picking this anime up, because it gets better after episode three. To summarise what has been going on, the progression of the story is so clear and well-done. It is like piecing the puzzles to form a completed timeline, which means that the anime jumps in and out of flashbacks a lot of times. Trust me, it cannot be very annoying since you will be able to understand more about the story as well as the characters. Also, there can be a number of cliffhangers at the end of most episodes which leaves the suspense high for the audience. Overall, the story was written well with good sense of direction. It not only focuses on love, but also bullying and the society that have a general view on these topic. There are some funny moments to brighten up the dramatic mood of the anime and eventually there are also some fan-service moments that tickle the fantasies of many people. I am satisfied by how the story went by, and I really loved the ending so much that brought the story to great closure.